Everything about next-weeks #Glee "The Break-Up"! The Break-Up is the fourth episode of Glee's fourth season. This episode is set to premiere on October 4th, 2012. This episode is directed by Alfonso Gomez-Rejon and written by Ryan Murphy. Apart from the New York scene which was filmed on August 12th 2012, the main block of filming began on August 28th 2012. After this episode, there will be a 5 week hiatus. 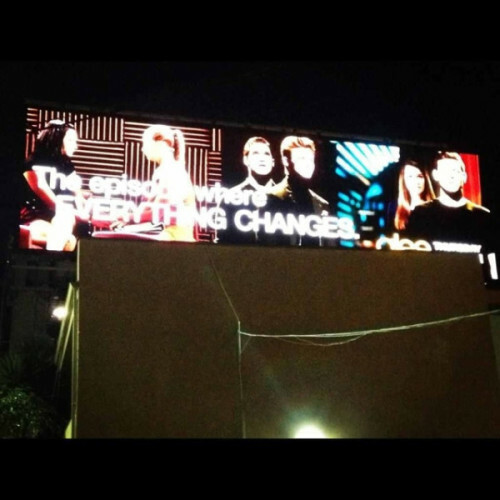 Glee will be returning with The Role You Were Born To Play on the 8th of November 2012. Because of the long wait before Episode 5, Ryan Murphy has confirmed on Twitter that he is preparing a 1 minute trailer that will air right after this episode ends. All of the core relationships will be tested. We will see Finn during boot camp. Rachel and Kurt are caught off-guard when they get unexpected visits in New York City. Meanwhile, Santana and Brittany deal with the long distance between them, and Will and Emma disagree on a new job offer. Finn feels like a fish out of water when he gets his first taste of the Big Apple. As he observes Rachel’s life at NYADA, he questions his place in it. With Kurt’s fashion career occupying all his time, Blaine grows increasingly frustrated and decides to take matters into his own hands. Santana worries that Brittany is falling in with the wrong crowd. Will gets some good news, but Emma’s less-than-enthusiastic reaction leaves him disheartened. One gleek risks humiliation and takes a stand to protect another. Several couples reunite and make decisions about their futures. The Finchel and Klaine relationships will seem to be the most vulnerable. 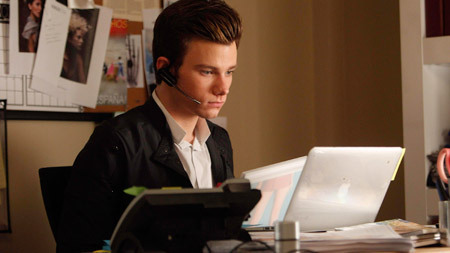 Kurt's decision to go to NYC will test his relationship with Blaine like never before. The problems they will face are about them being in two different worlds, since Kurt will be in NYC and Blaine still in high school. Kurt, Blaine, Finn and Rachel will go to bed not speaking. Teenage Dreams (acoustic version) will be sung by Blaine to Kurt, it's a complete re-make of the original they sung in Never Been Kissed. Give Your Heart a Break is sung by Brody and Rachel at the bar and Finn, Kurt and Blaine are assumed to be watching it. Blaine sings to Kurt before Don't Speak begins and it happens at the piano bar. Santana serenades Brittany in the choir room with Mine. Santana surprises Brittany by coming down to Lima. Brittany and Santana have a scene in a "hot and steamy" laundry room. Santana gets hit on by a girl. Kitty will hold a meeting in Breadstix. Brittany and Santana will be present along with Sam, Joe, Marley, and Jake. A new teacher will be introduced in this episode. She will be in her 50's and already married. It is unknown how many episodes she'll be in for. Naya and Heather filmed a scene together in the choir room for either this episode (8/29). Don't Speak by No Doubt. Sung by Rachel, Finn, Kurt and Blaine. Mine by Taylor Swift. Sung by Santana. Give Your Heart A Break by Demi Lovato. Sung by Brody and Rachel. Barely Breathing by Duncan Sheik. Sung by TBA. The Scientist by Coldplay. 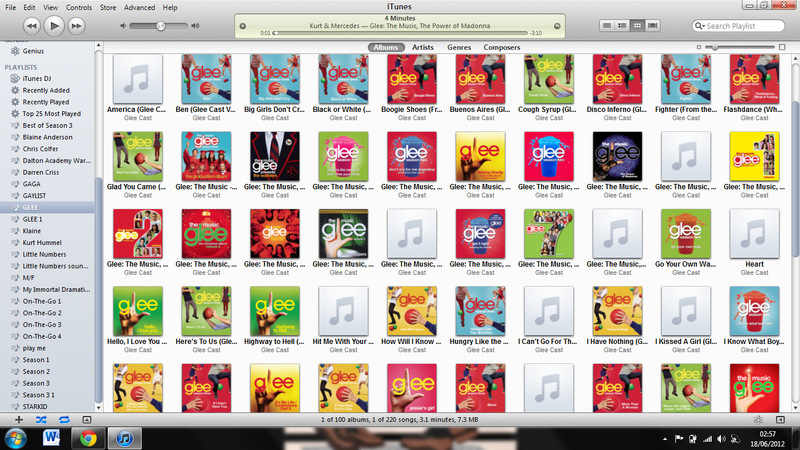 Sung by Finn, Rachel, Emma, Will, Brittany, Santana, Blaine, and Kurt. Teenage Dream (Acoustic Version) by Katy Perry. Sung by Blaine. Lea was in the studio recording a Duet (8/24) however this could be for The Role You Were Born to Play. Dean was in the studio (8/24) however this could be for The Role You Were Born to Play. Chris Colfer and Jayma Mays were both in the studio (8/27) however, this could be for either The Role You Were Born to Play or a possible Christmas album. Lea was in the studio (8/27) recording a sad song most likely for this episode. Naya was in the studio (8/29) however, this could be for The Role You Were Born to Play. Today's Round Up: Ryan Murphy Q&A and more! #Glee Press Conference: See the Pictures!